ZJA Zwarts & Jansma Architects, together with Ballast Nedam, were commissioned by the city of Amsterdam to design and build an underground bicycle parking beneath the Kleine-Gartmansplantsoen, right next to the Leidseplein. 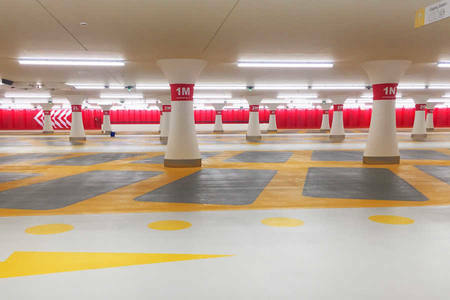 By constructing the underground bicycle parking, more public space is created at street level. In return the Leidseplein is given a new meeting place with the renewed Kleine-Gartmanplantsoen. The construction of the bicycle parking garage started today. The municipality of Amsterdam wants to improve the liveability and accessibility of the city by creating more space for pedestrians, cyclists, playing children and greenery. In this context, the focus is on the car-free character of the city with increased use of bicycles and public transport. Parking your bicycle in the inner city however is an increasing problem. The city continues to develop policies to keep streets and squares clear of parked bicycles and to provide more underground bicycle parking facilities. The forty reptiles of the Blauw Jan (Blue John) public work of art by Hans van Houwelingen will return to the park on top of the bicycle parking Kleine-Gartmanplantsoen. The bronze reptiles will be given a place on the brick wall in the park that continues on into the bicycle parking and guides the cyclist downstairs. The bicycle parking has two entrances; one for pedestrians and one for cyclists. The warm red brick of the bicycle parking connects both entrances. Images of reptiles on the floor of the bicycle parking are a nod to the Blauw Jan public work of art and guide the pedestrian to the exit at the Leidseplein. Above the bicycle parking, the forty reptiles watch over the bicycles under the square. 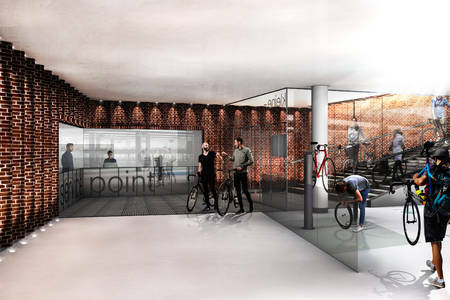 The new underground bicycle parking accommodates 2.000 bicycles and is clear, light and transparent. The design by ZJA is characterized by visual tranquillity and clarity. 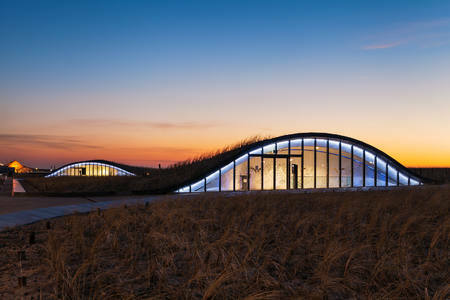 The shape, colour and lighting create an attractive and user-friendly bicycle parking. 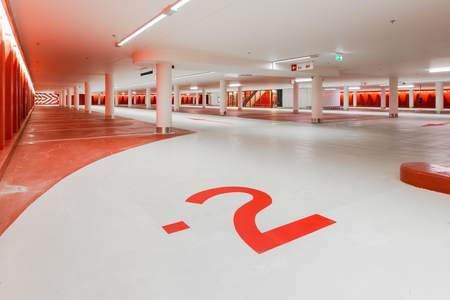 The underground bicycle parking Kleine-Gartmanplantsoen has wider paths and a higher ceiling (3.20 m) than most facilities for storing bicycles. Extra attention has been given to the entry of daylight and lighting above the footpaths, in order to create a transparent and pleasant atmosphere. By directing the sight lines towards the wide exit and positioning the keeper’s office in the corner a clear overview and a feeling of safety is optimized.